Your friendly airport student transportation service! Beaton's Meet and Greet has been welcoming International and ESL Students to the Greater Vancouver area since 1994. We are now serving communities from Vancouver to Whistler and Pemberton and the Southern part of Vancouver Island (including Victoria). Look for our distinctive banner with the red maple leaf. Ready to book your trip from Vancouver's famous airport? Or perhaps you need a lift to the airport. Ready to book your trip from Victoria? Or perhaps you need a lift to the airport. We also can arrange to pick you up at the ferry terminal. Ready to book your trip to/from Whistler? A town north of Vancouver, British Columbia, that's home to Whistler Blackcomb, one of the largest ski resorts in North America. Ready to book your trip to/from Pemberton? Home to outdoor adventures and stunning vistas, the Village of Pemberton is located 25 minutes north of Whistler within the Coastal Mountains. 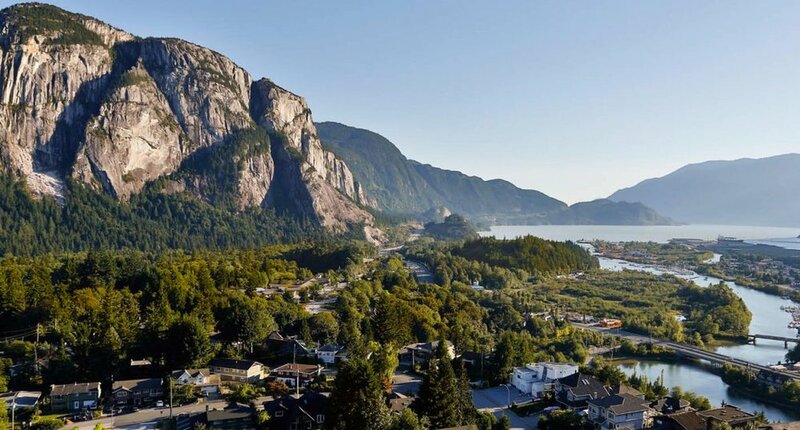 Ready to book your trip to Squamish? A lovely and charming town in the Sea to Sky region of British Columbia. Located half-way between Vancouver and Whistler.